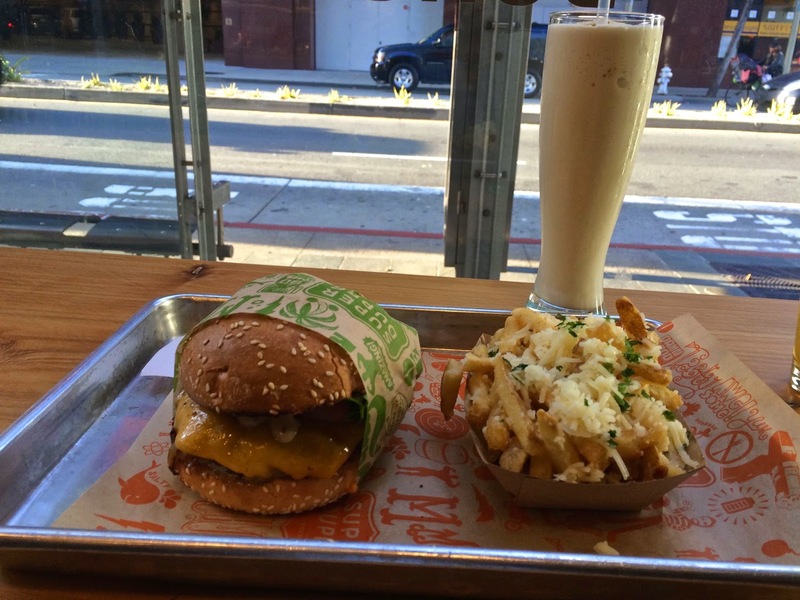 During my recent visits to San Francisco, I stopped by Super Duper for my favorite indulgence of a mini-burger with garlic fries and malted milkshake. I really love this stuff now-a-days and rare is a visit to the Bay Area without a lunch at this San Francisco chain. Super Duper began with the promise of providing "fast-food burgers...with slow-food values". They grind their patties from fresh Niman Ranch. I love their recipe of Super Sauce, grilled onions and jalapeño offered with complimentary house-made pickles. The malted milkshake is full cream and thick...very thick! Hops & Hominy, a nice little restaurant in the Union Square area, is one I have talked about here before and one I am drawn to frequently. 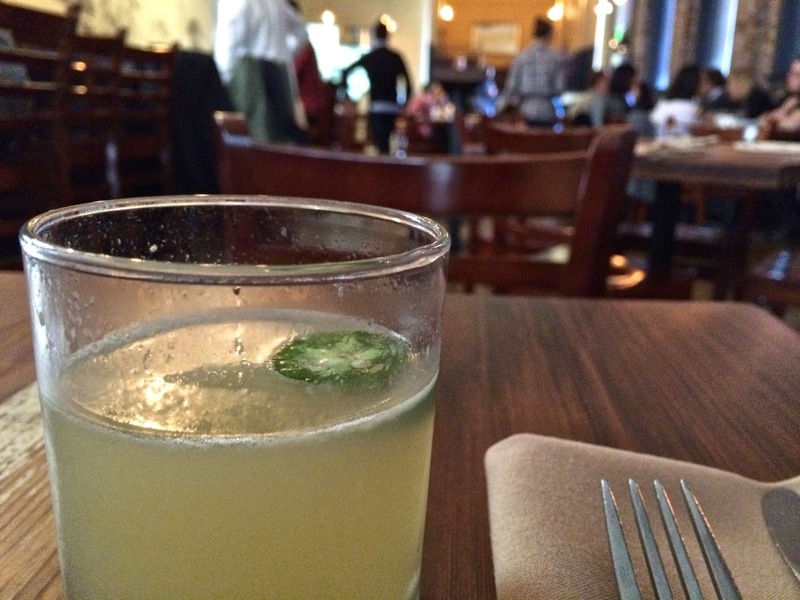 I love the hipster-chic place with its Southern inspired cooking and creative cocktails. I dropped in here for lunch one day and noticed an interesting burger on their menu and decided to try it. The Hops Original Burger is made of Niman Ranch beef mixed with about 20% lamb mince, cheddar, red onion, tomato, romaine, roasted garlic aioli and served with fries. I ordered my burger medium. 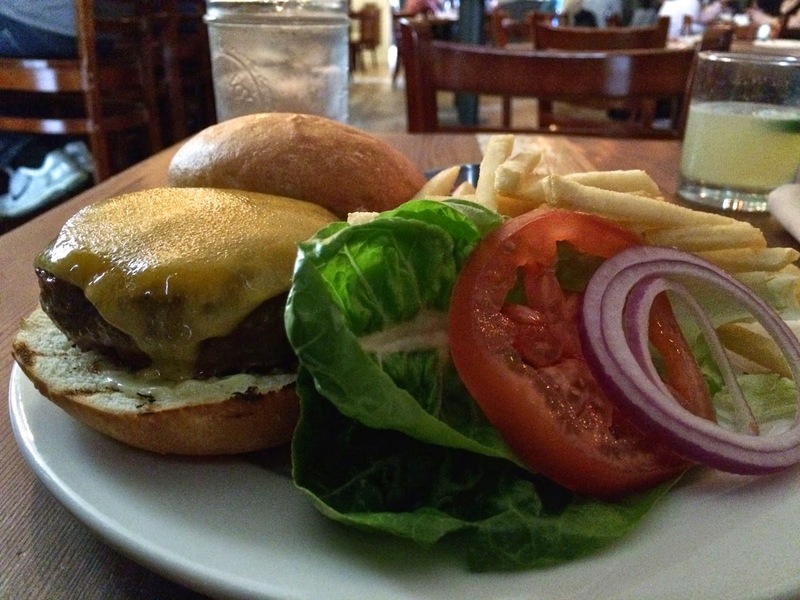 The burger was quite amazing and I loved the texture and taste of the lamb and beef mix. Finally, the famous 'Marlowe' burger, arguably the best burger in San Francisco. 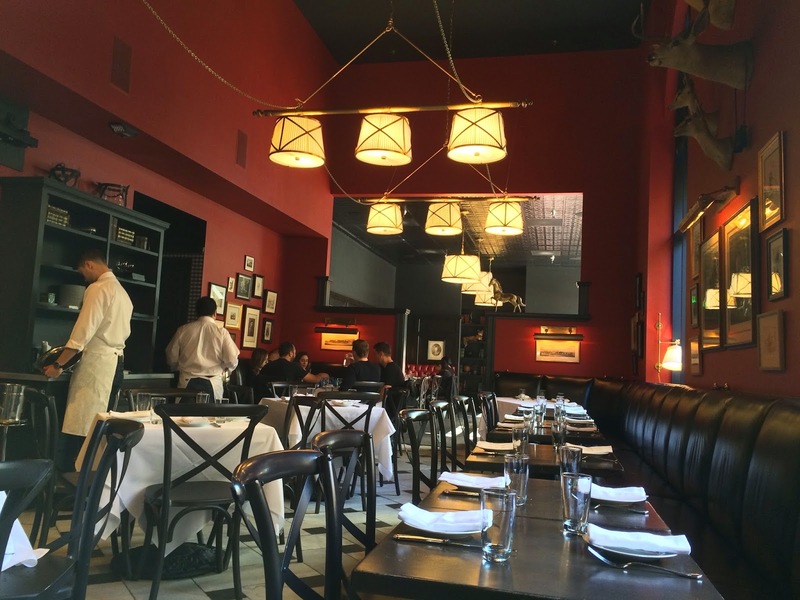 I was back at The Cavalier, the swish restaurant at the Zetta hotel in San Francisco with its British hunting-lodge theme. This time I was here for the famous burger served at Marlowe that is also available at this place (both restaurants are owned by the same team of super chefs). 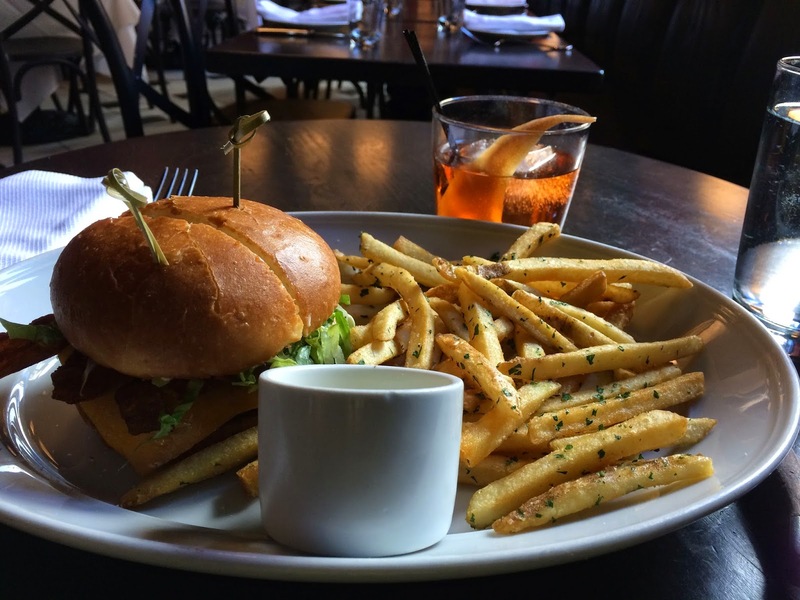 The burger is made with caramelized onion, cheddar, bacon and horseradish aioli and served with herbed fries. The juiciness of the meat seems to come from a small amount of lamb in the mix! This also gives it a slight gamey taste that I love.